Doc Bales Grill monthly 'Wines of the World' series is back for April. Indulge in four courses of these gourmet wines perfectly paired with dishes to match the bold flavors of each wine. 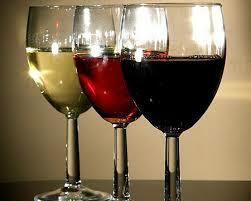 Each course will be preceded by a synopsis of the wine's origin and the fermentation process that created the flavor. Chef Garfield will then introduce the food pairing and the flavors infused to match the notes of the wine. Sip and dine in an elegantly curated wine and food pairing dinner at Doc Bales Grill. Admission is $69++ per person and includes four gourmet wine and dinner courses, plus amuse bouche and cheese & crudite reception.